New Haven trio Kimono Draggin’s Kimono Gold was the last release before the funky avant-garde group moved on to their current project, Space Orphans. KimonoGold takes the indie-funk sound to a whole new level, creating an album so upbeat and in-your-face that you can’t help but want to move. There is definitely a party music flair, but with musical integrity to back it up. It hits hard and can get you pumped for anything. From the track list alone, you can take note of the band’s carefree attitude, which is also emulated in the lyrics. 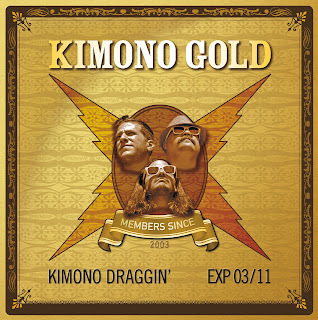 With titles such as “Two Finger Bowling Ball” and the opener “30 Seconds to Mounds”, it becomes clear that Kimono Draggin’ had as much fun writing this album as they want you to have rocking out to it. The track “Clap Your Hands and Say No” is the epitome of the band’s fun, light-hearted lyrics, and my favorite track on the album. With all three members contributing vocals which overlap one another, the jumpy feeling of the song is exemplified to create what might be the catchiest track on the record. The opening track “30 Seconds to Mounds” is a great choice to start off the album, as it displays a little bit of everything the band is capable of. Right away, heavy Zappa influences become apparent with distorted syncopated guitar melodies accented by immense drum fills. The effects chosen for the guitar are all top notch, creating a diverse sound that never grows tired. In the opener alone we see the guitar transform from what sounds like an overdriven synthesizer to a clean funk tone, and then back again. The band shows off its ability to perform seamless transitions between song sections, often aided by memorable guitar breaks. The breaks employed last just long enough for you to recognize a change before thrusting you right back into the dance craze. 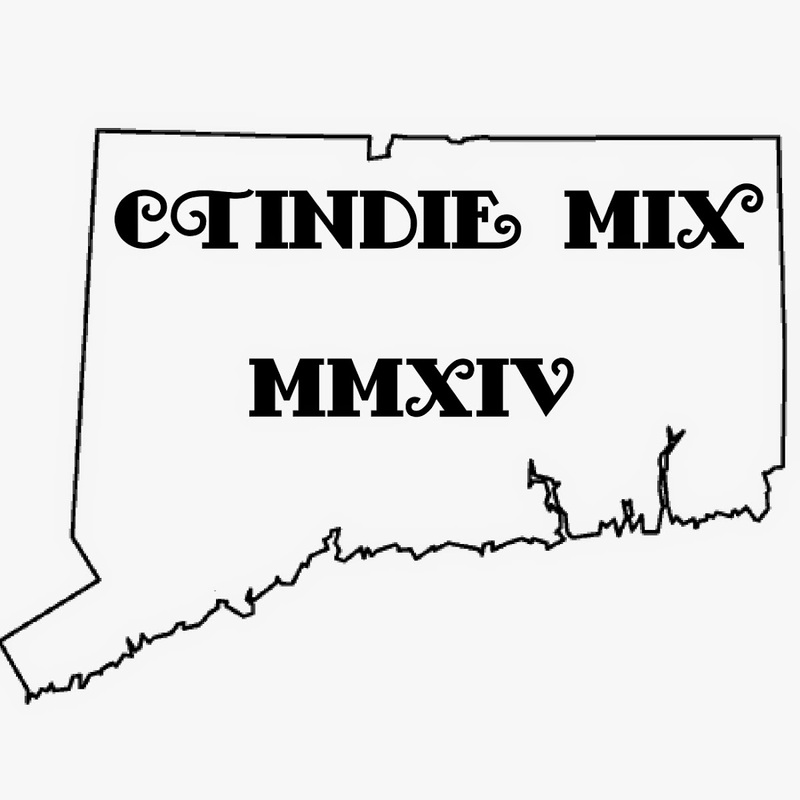 While each track may fall into the category of funk or indie-rock or progressive or whatever you end up calling it, each track is unique in its own way, with distinct melodies and varying three-part vocal harmonies creating a perfect balance of party rock and musical intricacy. 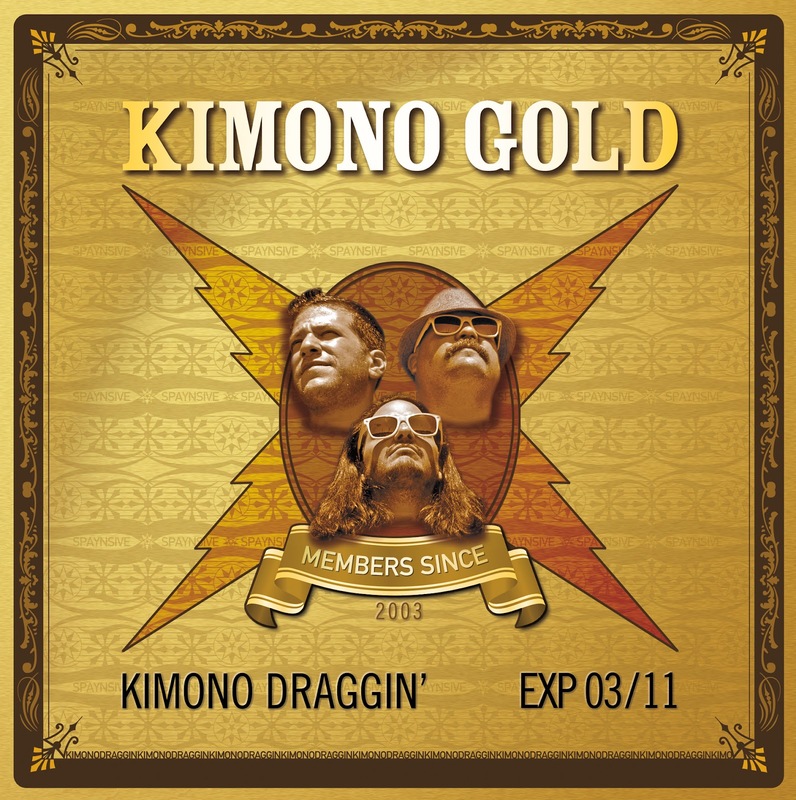 If you enjoy whacky, danceable music and a blissfully good time, KimonoGold is for you. This album is more than just fun; it’s a great party record with clever musicality: a rare gem. 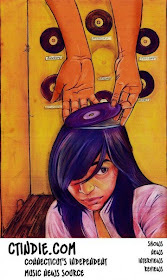 Check out Kimono Draggin’s music and show some support!